Emulate3D models can be viewed, explored, and discussed using a variety of new systems that fall into two main categories; Augmented Reality (AR), and Virtual Reality (VR). VR systems immerse users in a computer generated world where they can navigate and interact, viewing complex operations in a clear and convincing way. In VR systems which can connect to live models, this level of interaction can alter the way the modeled system behaves, either through browser-based HMIs, or through buttons and levers, all of which enhance the feeling of really "being there". 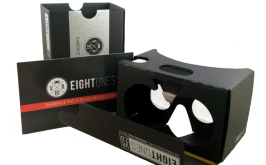 Smartphone-based VR systems can show recordings of operating models but nonetheless include more features than video, as the camera position within the model can be altered by the user. AR systems incorporate models into the real world by locating them precisely with respect to the real environment, giving the impression of solidity as viewers move around them. Because AR systems include the real environment, they offer great possibilities for demonstrating new solutions to others - including remotely. Several viewers can move around, see each other as avatars, and interact with the running model, while the dialogue between them continues. Automation system projects invariably involve meetings between you and your clients, often resulting in flights and time away from what you should be doing in order to have an hour or so explaining the latest modifications or progress. Now there's a better way - you start the model, and your clients can join you in the Virtual World with their own headset, from wherever they are. They can be in the same room, or they can be in a different country, but you'll be side by side in the model, able to see the other participants' avatars, able to hear each other and see where you are looking and pointing. So you don't need to arrange a flight to discuss the latest changes - just join online as often as you need to and keep your clients engaged. Bringing your solutions to life and making your work memorable has never been simpler. We have inspiring and cost-effective solutions for you whether you are at a trade show, at a client site, or in your office. Emulate3D's light RAW3D format makes it simple to email dramatic presentations of your solutions to run on your smartphone, tablet, or PC. Get the Demo3D app, available for free download at the links below. Click here to access free demonstration files to run on the Demo3D smartphone apps. 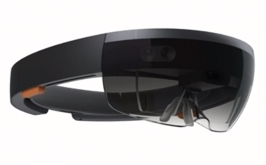 A true Augmented Reality device, the Hololens superimposes 3D content onto your local environment. Several viewers can be digitally tethered to view and discuss the same model. 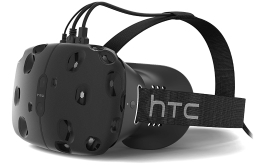 The HTC Vive enables users to move around within a defined area and use handheld triggers to carry out manipulation tasks within the virtual world. 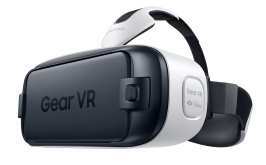 The Oculus Rift allows users to navigate 3D stereo models using a Microsoft Xbox controller for the ultimate PC-based virtual system exploration. This phone-based solution is extremely mobile, and users can navigate models using a bluetooth controller. An excellent choice for trade shows and off-site meetings. Ensure your solution gets remembered by sending your clients a file of your model that they can view and explore in the most cost-effective 3D stereo viewer available. 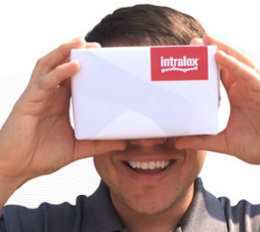 See what Intralox has done with Demo3D and Google Cardboard. Download the App for your devices now!